On the night of 3-4 June 1989, troops from the Chinese People's Liberation Army entered Beijing to put an end to weeks of peaceful protests demanding political reforms and the occupation of Tiananmen Square by students, killing hundreds, if not thousands, of unarmed protesters in the process. As the 29th anniversary of these events approaches, Amnesty International reiterates its call for a thorough inquiry into the 1989 military crackdown and for the government to fully uphold the rights to freedom of expression, association and peaceful assembly. cease harassment and prosecution of, and immediately release all individuals detained for exercising their rights to freedom of expression and peaceful assembly, including those seeking reassessment of the 1989 Tiananmen protests and commemorating its victims. The Chinese government thus far has not accepted responsibility for the human rights violations that took place during the military crackdown or held any perpetrator accountable. 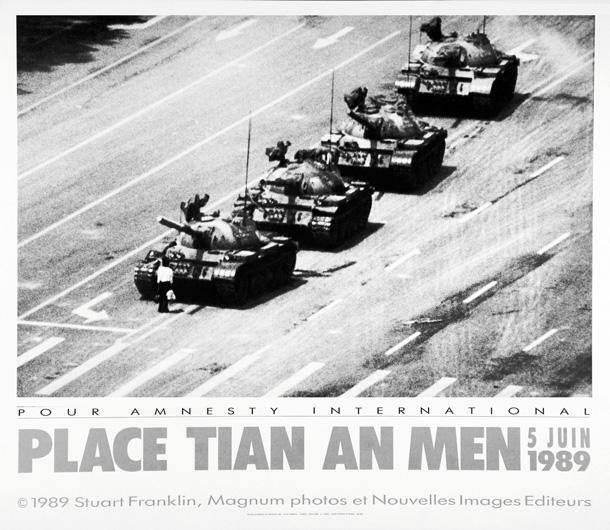 For those whose relatives were killed – including the Tiananmen Mothers, an advocacy group that has consistently campaigned for an investigation into the Tiananmen crackdown – time is running out to see justice in their lifetimes. According to You Weijie, spokeswoman for the Tiananmen Mothers, 51 members of that group have already passed away. In February 2018, another core member of the Tiananmen Mothers, Li Xuewen, died at the age of 90. Her son Yuan Li was a 29-year-old researcher when he was shot during the crackdown. In May 2016, four friends – Fu Hailu, Chen Bing, Zhang Junyong and Luo Fuyu – produced a special “baijiu” (a Chinese alcohol) commemorating the Tiananmen crackdown. They were quickly detained and formally indicted in March 2017 on charges of “inciting subversion of state power”. Today, nearly two years after their detention, the authorities continue to hold them in custody but have yet to put them on trial, with the Supreme People’s Court delaying the case for another three months in May. Liu Tianyan, wife of Fu Hailu, has complained about the government’s handling of the case, in that it has “not gone to trial and [the court has] not issued a verdict” – leaving the family in uncertain limbo. On 4 June 2017, wearing a shirt that read “Don’t Forget June 4, 1989: Commemorate June Fourth”, veteran activist Shi Tingfu gave a short speech outside of the Nanjing Massacre Memorial Hall – telling a crowd of onlookers that they should not forget the date of 4 June. He was detained on the charge of “picking quarrels and provoking troubles” and, on 12 February 2018, was given a one-year sentence, which was suspended for 18 months. Radio Free Asia reported that in May a court sentenced two Uighur government employees – Omerjan Hesen, 39, and Elijan Ehmet, 35 – to 11 years in prison for viewing an English-language report about the Tiananmen crackdown. The two were accused of being “two-faced people”, a sweeping political charge that has been used against Uighurs whose political loyalty is questioned by the Han authorities. Pro-democracy activist Dong Guangping has faced numerous difficulties ever since he participated in a public memorial in February 2014 paying homage to the victims of the 1989 crackdown. Dong was detained in May 2014 along with nine others, in what became known as the “Ten Gentlemen of Zhengzhou” incident. He was only released from detention in February 2015, and was closely monitored afterwards. To escape continued harassment by the authorities, he left for Thailand in September 2015 and lodged a request for refugee status. He was forcibly returned to China by Thai authorities in November 2015, although he had been granted refugee status by UNHCR and had confirmed resettlement in a third country. He was indicted for “subverting state power” and “crossing the national border illegally” and has been held in incommunicado pre-trial detention since his forced return. In September, in what was almost certainly a scripted set of responses made before a court in Yueyang, in the central Chinese province of Hunan, Taiwanese activist Lee Ming-cheh “admitted” that he had discussed the Tiananmen crackdown on the internet. That this was considered part of the prosecution’s evidence of “subverting state power” indicates not only that the government continues to prohibit discussion of the events of 1989, but also that any such comments on the internet can be used as evidence in a criminal prosecution. The time is indeed coming. The Chinese government cannot continue to avoid accountability, suppress information and silence commemoration forever. It is now more urgent than ever for the government to come to grips with its history and ensure that the victims of the Tiananmen crackdown and their families can finally obtain justice.